Saint Omer - 8e et 208e R.I. I've been doing some research on derivatives of the 7.7cm FK 96 n.A built during WW1. 2. the wheel track was reduced by about 30cm. 3. the axle was moved back about 30cm. 4. no axle tree seats were fitted. 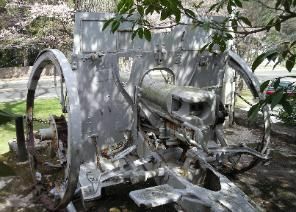 7. the gunner's and loader's seat brackets were a different design so they could be quickly removed. 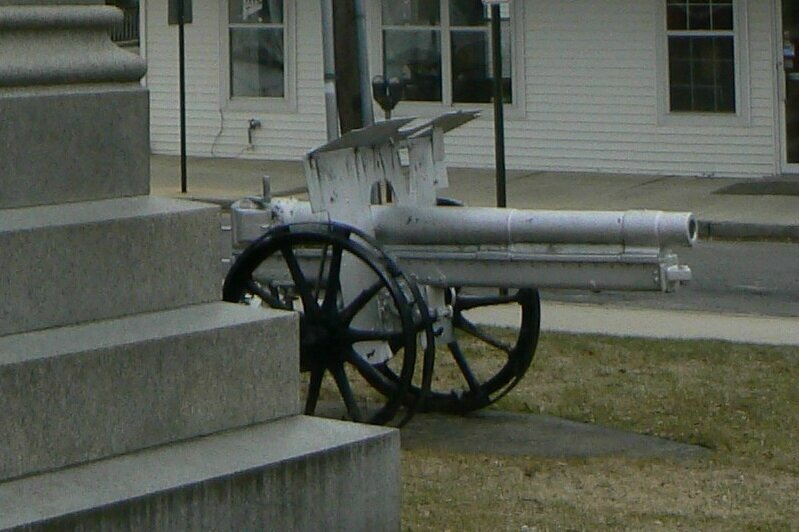 8. there are brackets at the end of trail which originally held a counterweight required because the gun unbalanced because the axle had been moved back. 9. the spade is a different profile (not certain about this one). 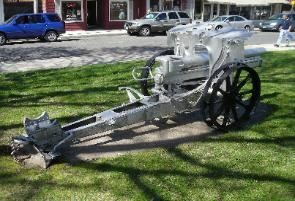 I had thought there were only a couple of survivors of these guns but it turns out there are 4 in North America at Taber and Peace River, Alberta, Thomaston. 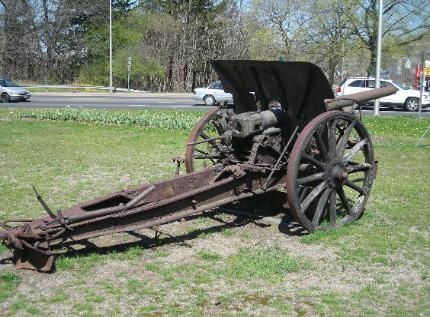 CT and the Pennsylvania Military Museum, Boalsburg, PA. You have one of these, the Thomaston, Ct gun but it's labelled as an FK 96 n.A on your website. I'll send a separate email about the Nahkampfkanone survivors.